I know if this had been around when my son was younger he definitely would have been asking to watch it. What little boy doesn't like watching monster machines! Nickelodeon’s new preschool series, Blaze and the Monster Machines, makes its DVD debut with Blaze and the Monster Machines: Blaze of Glory on DVD Feb. 17, 2015 for the suggested retail price of $14.99.. The first preschool show on TV to feature an in-depth STEM (Science, Technology, Engineering, Math) curriculum, Blaze and the Monster Machines follows the adventures of the amazing monster truck Blaze and his eight-year-old driver AJ. 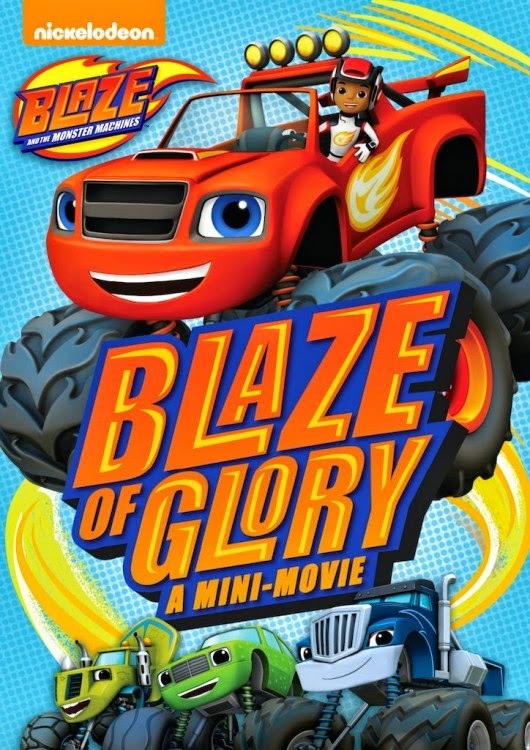 The DVD features the hour-long series premier episode, “Blaze of Glory,” plus a special bonus episode. “The Driving Force” (Bonus Episode) - When Starla, the friendly cowgirl truck, loses one of her pistons Blaze and AJ set out to get it back. But they’ll have to hurry before Crusher gets his greedy tires on it. I have been looking for a movie to get my nephew for his birthday and I think he would love watching this movie! I will have to get it for him.